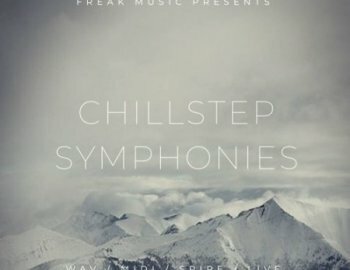 Freak Music is proud to present a huge collection of chillstep tools - "Chillstep Symphonies". This product contains MIDI construction kits, perfectly sounding kicks, vocal chops, FXes, one-shots, claps, background textures and Spire presets. You'll also find an Ableton Live 10 template as heard in the audio demo with all neccessary sounds included - from fully exported WAV loops and MIDI files to all Reveal Sound's Spire presets and WAV patches. Even if you're not a user of Ableton Live, you will find everything exported separately in the folder! We have included MIDI files and presets for absolutely all melodic content giving the end producer 100% control to change tempo, velocity or key and also customize the loops to your own exact requirements. That's absolutely a perfect compromise for any DAW user. This product provides a great amount of material for your chillstep, chillout and every melodic productions. Each construction kit contains several melodic lines working together like lead, pads, bassline and plucks which you can use together to create something fresh and inspiring. In addition to that, every kit is key labeled with BPM suggestion, also the audio demo is included for every single folder. Works with every DAW, you have absolutely unlimited possibilities in creating your next soft production. With this collection you'll be able to create something fresh in your favorite genre. This immense product comes with hundreds of sounds designed for producers of chillstep, chillout, pop and synthwave. Each folder comes with a variety of different sounds & song sections, with presets, MIDI constructions and WAV loops provided. Drop fresh new content directly into your projects or chop and splice for creative inspiration & ideas. Get that slick pro-sound straight out of the box and take your productions to the next level! All of these sounds are 100% Royalty-Free, so once purchased, you can use them in your commercial releases without having to pay any hidden costs.